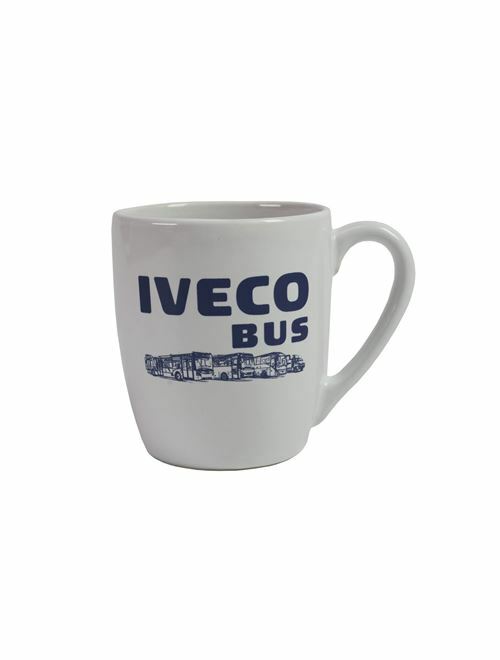 White mug, personalized with a 1-colour printing of our range and Iveco Bus blue logo. Material: ceramic. Capacity: 330 ml. Height: 100 mm. Diameter: 85 mm. Packaging: White cardboard box.